Between 1776 and 1782, North Carolina suffered through a brutal civil war between pro-British Tories and American Whigs; a devastating British invasion in 1781; hostile relations with its Native American neighbors; the occupation of its most important seaport, and a campaign by Patriot forces under the leadership of Major General Nathanael Greene to prevent the British from conquering the south. In many counties across the state, the destruction from the conflict was severe in terms of homes burned, farms destroyed, property lost or confiscated, soldiers killed, and civilians attacked. Evidence presented in the chapters to follow shows a society and its institutions disrupted or destroyed by the fighting, and by the state’s attempts to wage war and defend its citizens. Yet within a few short years, at least by 1789, the state had largely been restored to order and stability. This study is not a traditional “campaigns and commanders” style of analysis of the role of North Carolina and the Revolutionary War in which a strict adherence to a chronological narrative is observed. Nor is it what military historians refer to as an operational history, in which the movements of troops and a description of tactics makes up an integral, perhaps primary, part of the scholarship. Rather, it is an analysis of how the state waged war, the difficulties therein, and the process of reconstructing the ravages of the struggle during the 1780s, and is also looks at how the war affected the state across its various and different regions. This dissertation attempts to reveal how the newly independent state progressed from chaos and devastation to peace within a remarkably brief span of time. This process of reconstruction and state formation in North Carolina is what historians of early America have come to call the “revolutionary settlement.” During this time period, Carolinians were able to rebuild damaged institutions, stabilize their unsound financial state of affairs, reduce if not eliminate their dangerous internal foes, and resolve a host of postwar issues with the other states affiliated under the Confederation government initiated during the war. The first part of this study concerns the state and the war itself, from 1775 to 1783. During this period, North Carolina faced a traditional military contest between regular armies in the field, as well as an internecine struggle between Whigs and Tories marked by plundering, property destruction, violence and murder. This struggle was mutually destructive, ruinous and often fatal to both sides. These concurrent conflicts created great difficulties for military and civilian leaders in their efforts to establish political and social legitimacy for the cause of independence through the restoration of order and stability. Yet Revolutionary leaders realized that the only way to establish this vital stability was through military victory, upon which they had to rely on the very unstable state for men, money and materiel during the entire war. The second part of this inquiry concerns the postwar period, through 1789. Although the cause of American independence was ultimately successful, military victory did not result in the immediate establishment of order and harmony in North Carolina. The state was faced with numerous potentially divisive issues once the fighting was over: collection of debts owed to Englishmen, the court system, currency matters, markets for the state’s trade, and the disposition of the state’s western lands. A separatist movement in the North Carolina’s far western counties pitted frontier settlers against eastern land owners in a conflict reminiscent of the issues of the pre-war Regulation period. The status of the Whigs’ former enemies—and their property—was perhaps the most important issue to face Carolinians once the shooting ended. The state also contended with the new Federal Constitution, which it initially declined to accept in 1788. By analyzing a variety of sources from different social and political perspectives, this work examines how the Revolutionary War structured the political process at the state, county, and neighborhood levels. It examines not only the formal politics of the legislature, and the legal transactions of the courthouse, but also the routines of post-war life, and the informal politics of local communities. In sum, this study seeks to explain not only how peace was restored, but also how a new state was created out of chaos, from what had been a cluster of warring factions and interests. By looking at the transition in a southern state from the beginning of the Revolutionary War to the adoption of the United States Constitution, I attempt to shed light on how people ravaged by conflict and internal turmoil go about bringing order and stability to their lives and society. One can also see that violent animosities created in wartime caused “stumbling blocks” in the process of peaceful settlement because of resentment and bitterness among the formerly warring parties. The initial stage of the war for North Carolina was marked by two significant processes or events, detailed in Chapter 1. One was the establishment of state institutions and a constitution, as the new state emerged and left its troubled colonial past behind. From 1775 until the end of 1776, Carolinians moved from a decentralized system of authority in which county committees tried to deal with war preparations and maintaining order, to several broad-based provincial Congresses, the last of which met in November 1776 and adopted a new state constitution and a “Declaration of Rights.” These early efforts at state building, however, were not marked by tranquility. North Carolina patriots faced an implacable royal governor, bent on suppressing the American rebels at every turn in 1775 and 1776. More importantly, this period also brought to light one of the state’s foremost challenges of the entire revolutionary period: the widespread problem of loyalists (or Tories) living within the state. This internal dissent, a lasting problem even into the postwar years, was strong enough in early 1776 that Tories and state forces clashed in open battle. Although those fighting for independence could congratulate themselves on an initial battlefield victory, the uprising of loyalists signaled to North Carolinians the danger of violent enemies within their midst, who as it turned out, were a persistent menace to the stability of and order in the state. Beyond the serious issue of internal enemies and creating the structures of a new political state, North Carolina faced numerous difficulties in the realm of what modern soldiers would call mobilization. In chapters 2 and 3, this study demonstrates that North Carolina faced significant hurdles raising troops for its Continental Line of regulars, as well as supplying and equipping them. Moreover, the state’s precarious financial situation undermined these demanding logistical efforts for the entire war, and was a consistent problem the state was never able to surmount. Everything from guns to uniforms to provisions was either scarce or impossible to procure during the American Revolution, and paying for these and numerous other military requirements was persistently challenging. Recruiting for the state’s Continental battalions was never successful, even during the first few years of the war. North Carolina’s efforts at raising men and procuring the wherewithal to fight the war exposed a number of weighty problems for the new state, including a poor financial condition, the inadequacy of warlike materials, and the unwillingness to serve militarily in regular units on the part of thousands of men. As the war progressed and demands became significantly more pressing, these inadequacies led to great confusion and chaos within the state. Perhaps nothing contributed to these wartime disorders more than the presence of hostile Tories throughout the state. These disaffected citizens were men who either opposed independence, fought the Whigs who supported the American cause in a brutal conflict, or simply wished to be left alone by Carolina authorities and sit out the conflict. This opposition became much more problematic once the British turned their attention to the southern states later in the conflict. As this study shows, the disaffected element of Carolina society posed a significant and lengthy problem for North Carolina authorities, and greatly added to the chaos of the war. Barbarities affected thousands of Whigs and Tories in the state, led to disorders and mayhem within society, and challenged the legitimacy of the state due to its inability to effectively combat the opposition until very late in the struggle. While earlier historians have written about disaffection in North Carolina during the Revolutionary period, the problem was much more widespread and of longer duration than has been previously depicted. In order to combat British and Tory forces, Carolinians had to rely on their state militia forces to defend its borders and quell internal dissent. Chapter 5 looks at the state’s militia. During the Revolutionary War this institution was plagued with numerous difficulties, perhaps more so off the field of battle than on it. With some exceptions, militia troops were generally unreliable on the battlefield when deployed conventionally by army commanders, especially in set-piece battles against well-trained and armed British, Hessian, or Provincial battalions. These men were also unwilling to serve for long periods of time, or far from their home. They resisted service when their families were threatened, and often times were supported by their officers in doing so. Many deserted quickly, and could not be brought to the armies’ camps in sufficient numbers or for adequate time periods to be of much service in traditional military campaigning. These militiamen were better suited to battling the Tories within the state in irregular, or partisan warfare. This kind of service, however, often led to brutalities and a type of service that could be controlled by regular military officers only with great difficulty, and sometimes not at all. This chapter looks at the practicalities and difficulties of waging war with this particular type of force, and how it added to the state’s wartime woes and confusion. Militiamen engaged in an often savage conflict with loyalists, one that contributed to the disorders of the war, as did the confused way the state mobilized them for their tours—if in fact they could get men to serve at all. In North Carolina, militia service was resisted and ineffective to a large extent because of the prevalent localism of many Carolinians, who could only be prevailed upon to serve if they perceived—or authorities could convince them—that their homes, families, or communities were threatened. As the war dragged on, and as it came close to home for North Carolinians by early 1780, the turmoil and disorder within the state became notably more pronounced. 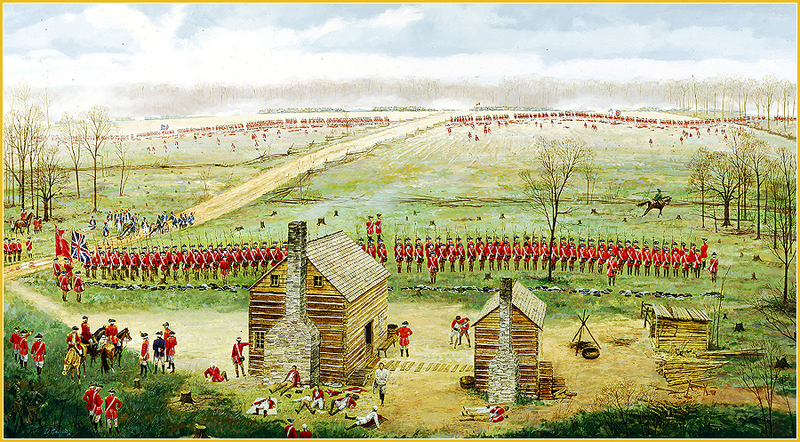 The pressing need for soldiers (in both Continental battalions and militia companies) and for the materials needed to arm and supply them was so acute by the time the redcoats invaded the south that North Carolina’s leaders had to rely much more unhesitatingly and urgently on two expedients to avoid ruin. As Chapter 6 details, in order to get more men in the ranks, state officials employed the draft to procure the unwilling to bear arms, while the onerous expedient of impressment became widespread to acquire food, arms, horses, fodder, and all sorts of other military needs. This study argues that impressment and the draft as carried out during the war alienated a sizeable part of the citizenry and contributed significantly to the prevalent chaos within the state during the war. That the state was disordered by the early 1780s was obvious. All across the state, bridges, mills, houses and barns lay in ashes, while the most important civil institutions—the state legislature and the county courts—had often been disrupted or dispersed. Marauders roamed vast regions bent on plunder or arson, while the Whig versus Tory war still raged in many locations. In short, this war and how it was waged created confusion and disruption on an unprecedented state-wide scale, and illuminated for all its inhabitants to see how ineffective the state was in combating it. Although the war was marked at times by trauma and brutality, by the beginning of 1783, military hostilities had largely come to an end. No British troops remained in the south, and for the most part the Tory threat had been subdued. Chapter 7 reveals that what faced exhausted Carolinians at that point, however, was the enormous task of rebuilding their embryonic state, bringing order and stability to its institutions and social fabric, and coming to some resolution regarding the Tories in the postwar years. Surely because the character of the hostilities between Whigs and loyalists had been so bitter, the first few postwar years were dominated by what one observer called an “extreme violent spirit” by the Whigs against their defeated neighbors who had opposed them during the revolutionary struggle. The state was dominated by what may be called “the politics of enmity,” that is to say, a vindictiveness of many Carolinians toward former Tories or the disaffected, and the expedients used to punish them. North Carolina’s policies of revenge led to persecution of loyalists, banishment from the state, denial of basic rights and privileges, and in a number of cases during wartime, execution for treason or barbarities Tories committed against Whigs. In addition to these measures, North Carolina relied most heavily on the expedient of property confiscation as a measure not only punitive in nature, but to finance the war’s costs and to reduce its enormous debts once the fighting had stopped. Confiscation was not universally praised as a policy by any means. Nevertheless, the state adopted a number of provisions during and after the war that seized the property, land and debts of those deemed loyalists, and sold them for the benefit of the state. And yet despite widespread support for punitive, and in some cases, vengeful actions against the Tories in the postwar years as the state struggled to bring order and stability to its citizens, other North Carolinians sought to act “from Principles of Humanity and Virtue.” This conciliatory movement, the subject of Chapter 8, was one based upon moderation in terms of how the disaffected should be treated. These men believed that the path to legitimacy and an end to the bitter animosities of the war years lay in reconciliation and leniency for all but the most “obnoxious” Tories. These men advocated lenient measures, including an end to confiscation and banishment. Others conceded that contrite Tories could regain their citizenship by serving in the army, while in some cases pardons and clemency were given to loyalists by the governor or the assembly on a case by case basis. This tension between enmity and conciliation that came to inform postwar Carolina politics was part of the rebuilding process of the shattered state, what can be called the “Revolutionary Settlement,” the subject of Chapter 9. This final chapter focuses on the physical rebuilding process, efforts to get the state’s currency issues under control, indemnification for those Whigs who committed outrages during the war, public relief efforts, and the establishment of civil order. These several developments began to end the disorders caused by the war, shored up battered institutions, and served to put the hostilities of the war years in the past, at least for those who supported the victorious Patriots. Yet for all of these efforts at reconstruction within its own borders, North Carolina initially showed little inclination to become part of a broader political entity. Many Americans emerged from the war with the heightened sense that cooperation and unity among the states would best serve the fledgling nation in a postwar world in which Britain was still very much regarded as a powerful enemy, and in which enormous debts were still owed by the American government. North Carolina was to a large extent not so inclined. The state guarded its western lands in order to stabilize its finances, rather than vest ownership of them in the Confederation government. Even more importantly, many Carolinians (thought certainly not all) were reluctant to abide by the conclusive 1783 Treaty of Paris, in that the provisions of this diplomatic accord would have prevented further loyalist property confiscations and allowed British creditors to seek payment of prewar debts. By refusing to accept the treaty’s terms, Carolinians allowed for the continuance of a retributive policy. Finally, the state’s lack of interest in joining a stronger federal union, later consolidated under the Federal Constitution, reflected not only the insistence of a Bill of Rights, but also a powerful spirit of localism among its inhabitants. Carolinians appear to have looked upon the Confederation as an ineffective and weak authority, and its performance during the war certainly did nothing to disprove this impression. Thus, it is not surprising that membership in this union held little attraction for a number of Carolinians during most of the 1780s. Eventually, however, North Carolina did become part of the United States late in 1789, once it ratified the new Federal Constitution, which included a Bill of Rights. By that time, the state had already declared the Treaty of Paris to be the law of the land, and active confiscation of property and most other penalizing measures against the Tories had come to an end. Western land issues had been previously resolved as well, although hostilities with Native American neighbors in what is now Tennessee remained a real and active concern for eastern officials and frontier inhabitants beyond the 1780s. While certainly localist perspectives held by many Carolinians did not vanish, these sentiments appear to have waned as the decade ended. Only when the spirit of vengeance against the disaffected had receded and the benefits of federal union could be seen in a new government stronger and more beneficial than that which had handled the war so ineptly did the settlement of the revolution in North Carolina finally occur. An incisive summary, well reasoned and helpful as an introduction to the larger work.